Muni 1016 as restored in front of WRM Car House 3. San Francisco Municipal Railway 1016 is a post-war all electric PCC car. It is a single-end car with back up controls. 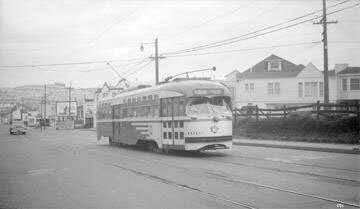 SF Muni 1016 was built new for the San Francisco Municipal Railway by the St. Louis Car Company in 1951. 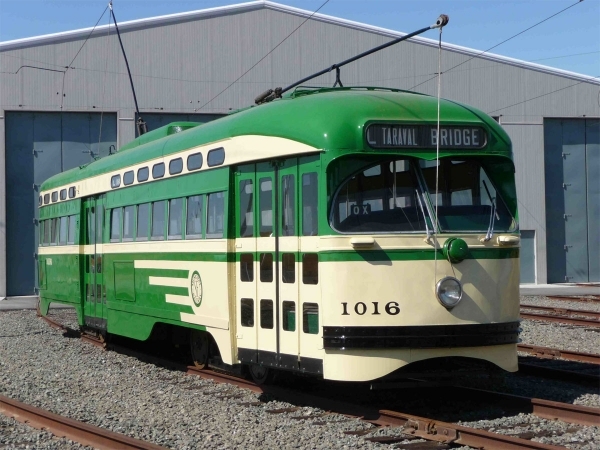 It is the first car in the Muni's 1016 to 1040 series, which was the last order of PCC cars built in the United States. An all-electric, single-ended true PCC car, it was built as a two-man car with a conductor's station opposite the center doors. Muni desired double-end cars similar to the 1001-1015 streamlined cars, but with both St. Louis Car Company and Pullman-Standard winding down their street car manufacturing businesses, it had to accept a standard model similar to other PCCs built after WWII. The car was converted to one-man operation with front entrance in 1954. Car 1016 was used on a Bay Area Electric Railroad Association excursion over the Muni lines in San Francisco on October 25, 1951 to celebrate the arrival of the new series of cars. It was replaced by the Boeing-Vertol Light Rail Vehicles in the early 1980s and purchased by the Western Railway Museum in October 1982. In 2010 after a 5 year restoration, 1016 was restored to it’s original 1951 two man configuration. Technical Data: All electric post war PCC car. Built by, St. Louis Car Company of St. Louis, Mo. in 1951. Seats, 58 passengers, one operator. Weight, 37,600 pounds. Trucks: St Louis B3. Wheels. Axle. Journals. Traction motors, 4-55 horsepower @ 600 VDC. Dimensions: Width, 9’ 0”. Length over buffers, 46’ 6”. Height, 10’ 7”. Truck centers. Truck wheelbase. Propulsion Equipment: Westinghouse Electric and Manufacturing. Master controller. Traction motors, Westinghouse 1432K. Misc Data: Trolley shoe, Ohio Brass J-6. Trolley base, Ohio Brass Form 11. Electric bell. Current Condition: This car is in good condition. Proposed Future Treatment: This car needs to have the trolley boards replaced and be repainted. 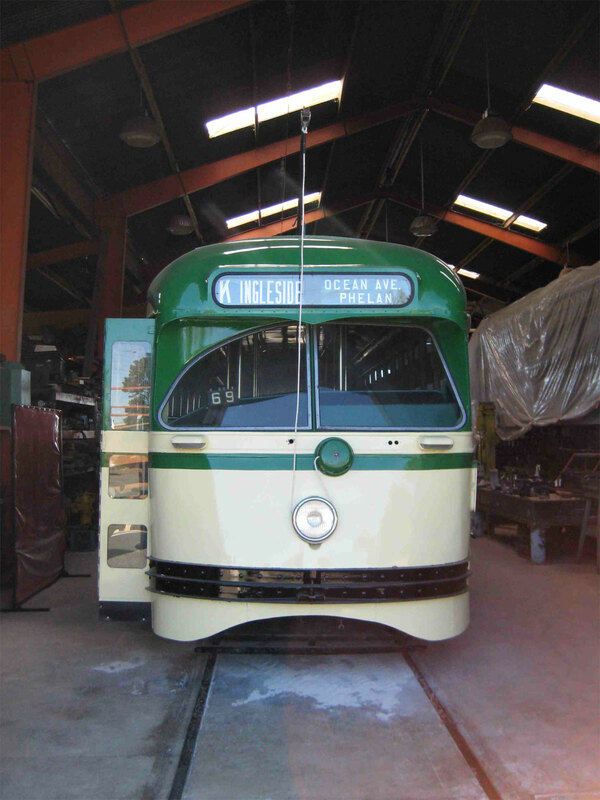 Photo 1 Caption: Front view of Muni 1016 as restored. Unit is in the shop at the WRM.